"We need to move forward. The Ministry of Finance will draft a bill on financial police." The Ministry of Finance is not planning to reinstate the tax police that has been abolished in December due to a technical error in the bill amending tax code. Instead, the ministry is working on a bill on the establishment of financial police. "Is it worth it to fix the mistake by reinstalling the repressive tax police? Obviously not. We must move forward," the minister Oleksandr Danyluk wrote in Facebook on 12 January. 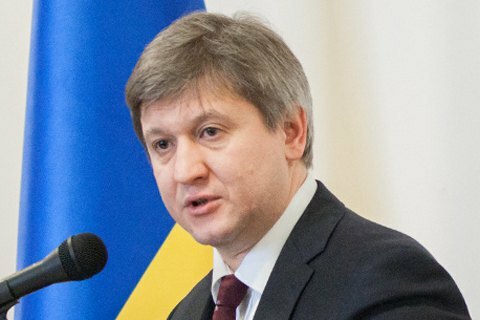 Danylyuk further wrote that his ministry in the coming days will submit to the government a bill on the establishment of the financial police. He said the memorandum with the IMF stresses the creation of such a policy, and the legislation is long -awaited by Ukrainian business community. The bill is already drafted and is in the final stage of coordination with other ministries. According to the minister, the novelty envisages the reduction of staff from 15 to 2.5 thousand through job contests; the change of approach from enforcement to analysis, non-interference with the work of honest business; higher salaries to attract the best staff. The uniformed force unit will not exceed 25% of the agency's staff, Danylyuk wrote. The bill is planned to be submitted to the government next Wednesday, 18 January. On December 21, the parliament adopted amendments to the Tax Code, one of which inadvertently abolished the tax police de jure. It was planned that the tax police will be abolished after the new law on the establishment of financial investigations, but the transitional provisions of the bill relating to the date of entry into force of the relevant regulations did not mentioned that. De facto, the bill abolished tax police as of 1 January, 2017.